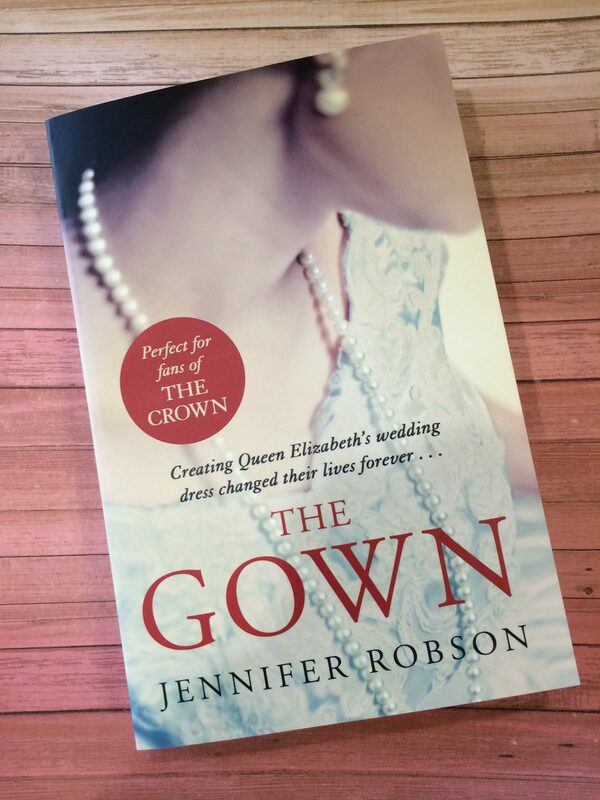 In February 2017 Jennifer Robson, the author had the good fortune to interview Mrs. Betty Foster, one of the four seamstresses who helped to create Princess Elizabeth’s wedding gown in 1947. Q: When did you begin work at Hartnell? A: It was 1942, during the war but after the Blitz, although there was still a blackout and some air raids going on. I’d turned fourteen in May and finished school, and in August I started at Hartnell. I think I was the last apprentice to go into this workroom, because all the others after me came from the college. Miss Holliday, who trained me, she preferred apprentices, because when they went to college they were taught a certain way, weren’t they? Whereas I didn’t know anything. I knew nothing about dressmaking. I wanted to be a dress designer! And I ended up with Miss Holliday, who was Mr. Hartnell’s senior seamstress. She’d been with him forever. Q: Can you describe an ordinary working day at Hartnell? we didn’t start until half past eight. So I used to go to the Lyons Corner House nearby—there used to be one near the station on Bond Street—and I’d go in there and have a cup of tea and a bun. And then I’d make my way down to Bruton Place. That’s where we went in—through the mews behind Bruton Street. We’d work through the morning, with a half-hour break at some point, although often it wasn’t even that, and we had a very short lunch, too. And then we left at five. There was a canteen downstairs, so that’s where we’d eat. Q: How did you find out you’d be working on Princess Elizabeth’s wedding dress? A: Mr. Hartnell came to our table, Miss Holliday’s table, with the sketch that the princess had chosen, and that’s when he asked if Miss Holliday would make the dress. Would you believe she was hesitant? She made all the important dresses for him, and she was the oldest of his seamstresses, and had been there the longest. But she did hesitate, because it was such a big responsibility. And we said, “Oh, please, Miss Holliday!” So she gave in, but she made us promise to behave ourselves! Q: Were you nervous when you worked on the gown? A: Would you believe I wasn’t? We didn’t have much time but I don’t remember feeling rushed. Of course we were used to having film stars ordering dresses for premieres and things like that, and often at the last minute. But I don’t remember being a bundle of nerves. We always made the queen’s dresses—the queen mum, you know—and we were used to working on important things. Q: Can you tell me a bit about how the dress was made? was all put together. Before it was made up I had the task of making the buttons. I sewed all twenty-two buttonholes on the back and I also made the sleeves. Because I’d never made a buttonhole before, I had to practice on scrap bits of fabric. Only then was I allowed to work on the already meticulously embroidered dress. I remember sitting at my table and Miss Holliday telling all the other girls that no one was allowed to talk to me whilst I was practising. After the dress had its final fitting, the seams were re-embroidered, because they couldn’t do the embroidery until it had been properly fitted. That’s when the embroiderers went back over the seams and filled in the empty spaces. I remember, too, how when everything was done, Miss Holliday let the other girls do a stitch or two, just so they could say they had worked on the wedding dress. And then, just before it was delivered to Buckingham Palace, we all got to see it, and the bridesmaids’ dresses, too, because we hadn’t seen them before—they’d been made up in another of the workrooms. Q: What was Mr. Hartnell like? A: You know, he wasn’t at all proud or snobbish. He was really lovely, a friendly, friendly man. Just a wonderful person. Q: Did you ever meet the queen? was very cold and not very nice. There was a lift at the end, and we went upstairs. It was just us—we didn’t see any servants. And we walked along this beautiful corridor, with all sorts of displays and cabinets and settees, and we walked past all the different apartments for different members of the royal family. And we got to her door and there was a plaque that said “Her Royal Highness Princess Elizabeth.” Mam’selle knocked on the door and said, “Coo-ee,” and we went in. Mam’selle went on ahead and left me and Miss Holliday in the dressing room, I suppose it was. And I looked out the window and I could see all the cars going down the Mall. And you know, when I’ve stood outside the palace since then I always look up and wonder which of those windows I looked out of that day. Q: And did you meet Princess Elizabeth that day? A: I didn’t! The clothes all fit, so we didn’t have to do any alterations. I did get to meet the Queen Mum once. It was during the war and we’d made her a beautiful gown, and the queen said, “Would the girls who worked on my dress like to see me wearing it?” I was chosen, and Miss Holliday, and somebody from the embroidery room. Miss Yvonne, the queen’s saleslady, she introduced me. She said, “This is Betty, who helped to make your beautiful dress,” and the queen said, “Oh, thank you so much. I do love it when they sparkle!” She was so lovely, and friendly, and standing on the other side were all the servants, seeing her already dressed. There was a big banquet at the palace that night, and the king was there, too. Q: Can you tell me about the time the royal ladies visited when you were working on Princess Elizabeth’s wedding gown? A: Oh, yes. They wanted to see where the dress was being made, and when we learned they were coming we practiced our curtseys. I remember how they walked through the doors and we all did our curtseys, except we all bobbled up and down at different times. Mr. Hartnell brought the group over to our table, and he said, this is where the dress is being made, and then he explained how some Americans had hired the flat opposite—to see if they could get a glimpse of the wedding dress—and when he said that to Queen Mary, and explained how we’d had to cover the windows, she said, “What a bore!” in that very deep voice of hers. Q: What do you think of the gown? A: I thought it was beautiful. And you know, really, the embroidery made it. It absolutely made the dress. No one else could do embroidery like that, and it was so lovely. So romantic—like something out of a fairy tale. That’s how I remember it.